Something of a dignified murder mystery, Berczeller outlines from the off that we’re not going to see the sensational myth we probably read in the papers. 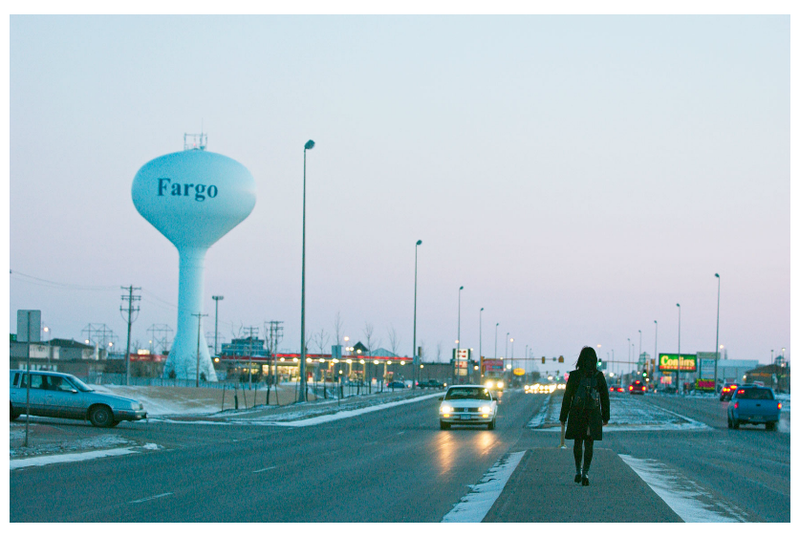 As well as telling the bare facts of Takako’s story, he reconstructs it in the strange white calm of Fargo, interviewing those who came across her along the way. The result is eerie, presenting a place where a stranger can just disappear and become the blank slate onto which the world’s fantasies can be projected. We experience a growing realisation that film stories so dominate our lives that we’re more entirely likely to believe someone would swallow them whole and indeed die for them. But Berczeller does far more than just debunk the myth. An anonymous girl becomes, if not heroic, a real person who lived a real life. Her sense of isolation in a strange place is echoed by the use of stills, creating a fragmented and detached experience of Takako’s last days. This is a very stylish documentary, employing a narrative that feels like fiction but tragically isn’t. We reflect upon the stories we all create and the locations that frame our experiences, with the sting in the tail that as beautiful an image as that is, the reality is a lot more mundane.